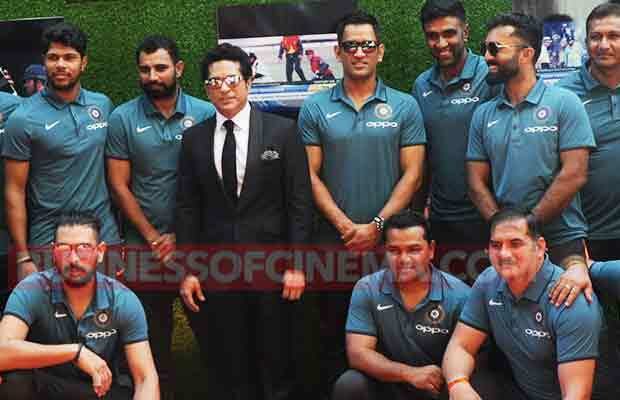 Sachin: A Billion Dreams which is just two days away from its release, is all set for a star studded grand premiere. 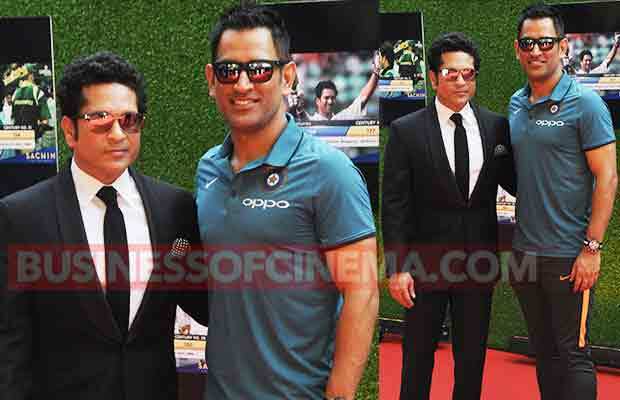 The film which is based on the life journey of Sachin Tendulkar, will have a gala night premiere held in Mumbai today. 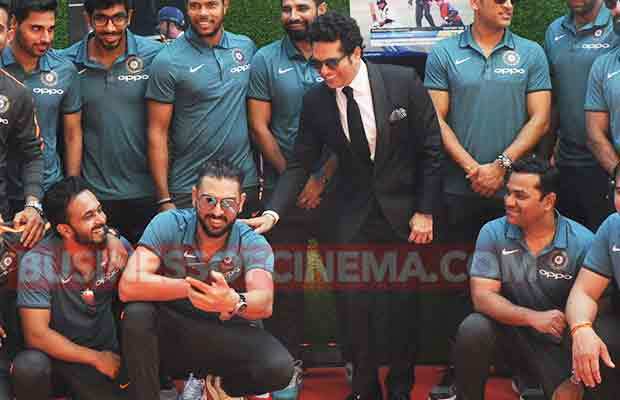 The entire film fraternity is expected to attend the grand event. 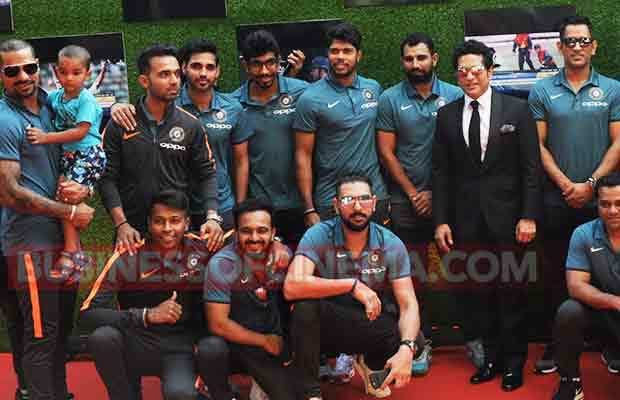 The Indian cricket team will also be coming together to watch the special screening of legendary cricketer Sachin Tendulkar’s film. Extravaganza Premiere have been sent which consist of a mini bat with the master blasters autograph. The makers of the film are leaving no stone unturned in making the grand premiere a big success. 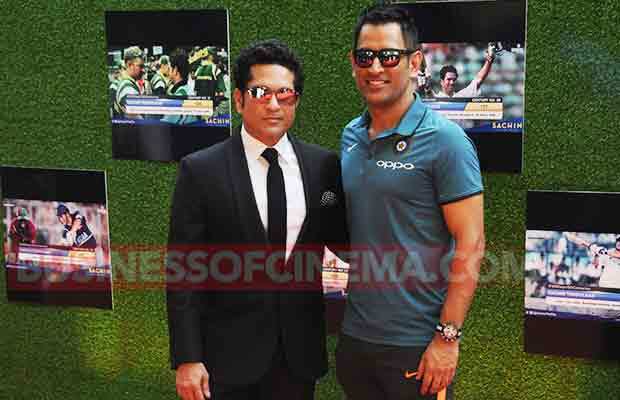 Sachin Tendulkar is one of the most celebrated names in Indian cricket history. And it would be a treat for the audiences to witness the larger than life story on screen. We have some exclusive pictures from the premiere. 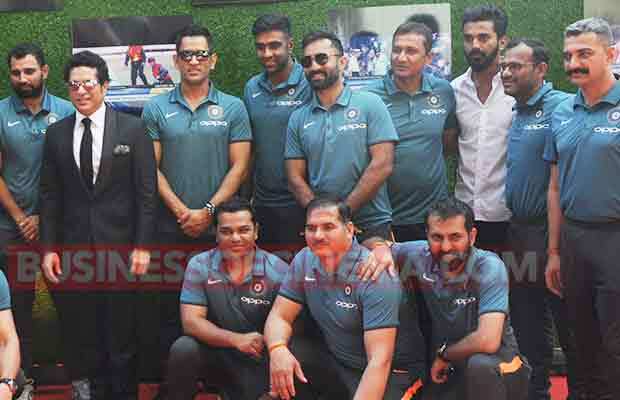 We can spot the Indian Cricket team and players like M.S Dhoni, Yuvraj Singh, Ashwin Patel among others. 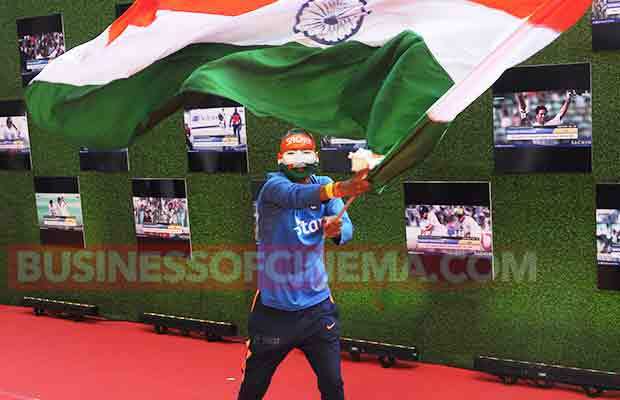 Even Sachin’s super fan Sudhir Kumar Chaudhary, who is famous for attending every home match the Indian Cricket team has played since 2003 can be seen waving the Indian flag at the premiere. 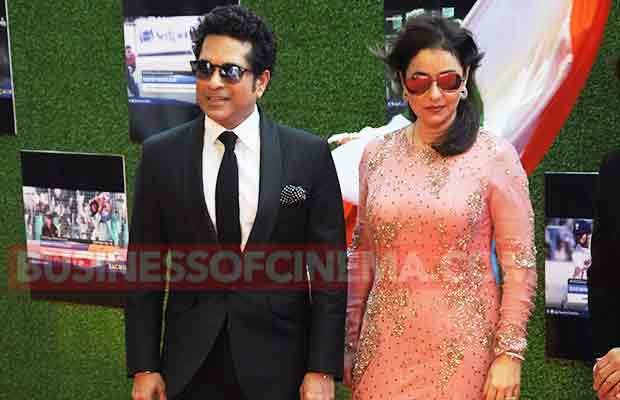 Sachin can be seen posing with wife Anjali Tendulkar as she looks gorgeous in a peach gown. 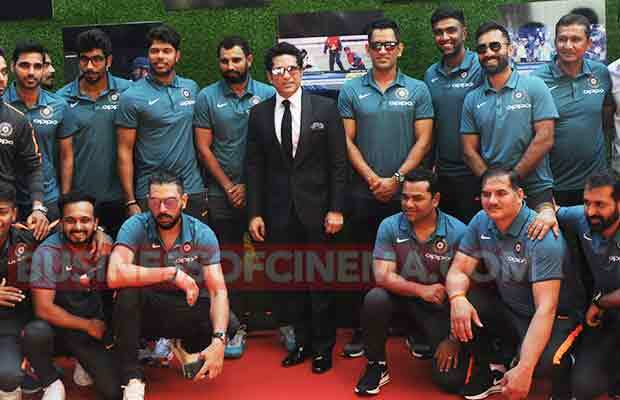 Sachin: A Billion Dreams, written and directed by James Erskine and produced by Ravi Bhagchandka and Carnival Motion Pictures under 200 NotOut Productions. It is scheduled to be released on 26 May, 2017. Next articleSoha Ali Khan Flaunts Her Baby Bump And It’s Adorable!